I often tell people I cook better than I sew. So that makes Thanksgiving one of my favorite holidays. 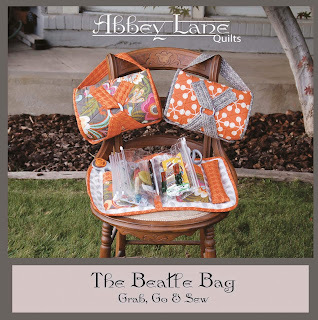 This isn't about me though, but I did put a recipe down at the bottom, it is about Abbey Lane, and tonight I am going to share with you our new patterns we debuted at Quilt Market. We had five new quilts, and as always, the new ones have become my favorites. We started with ROCKY RACCOON. 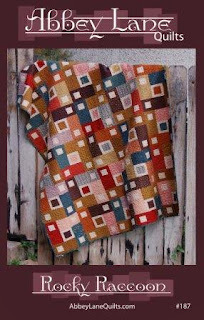 The colors in this quilt are just beautiful, and believe it or not, they are civil war fabrics. 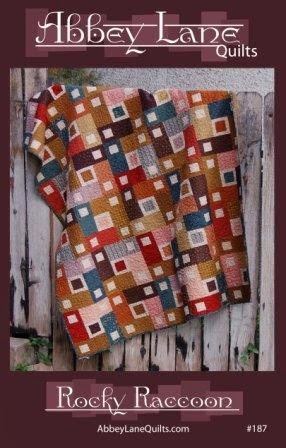 This is such a versatile pattern that you could gather up your scraps and come out with a beauty. The next one is AINT SHE SWEET. I went to five different quilt stores and raided my stash to come up with the greys and off whites used in the center and on the borders. My efforts really paid off. 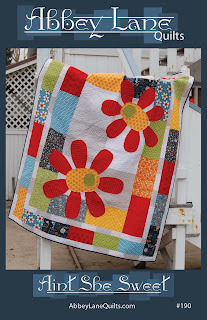 The giant flowers are super funky and the bright colors finished out the happy feel. 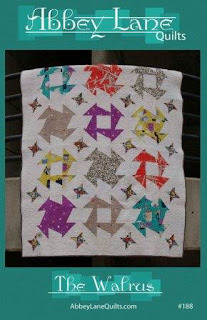 This tied for first place for favorite quilt at market with all the ladies. 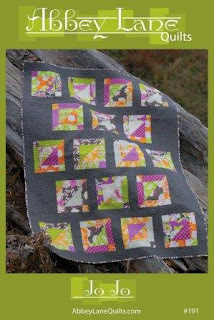 Again, this is a versatile quilt made with fat quarters. We used a collection from Moda called BLUEBIRD PARK, which is in stores now. As with almost all of our patterns, many different styles of fabrics can be used and all will produce great results. tied with Meter Maid and was my personal favorite. This quilt, with it's oversized 15" whacky butter churn block, has so many options. I am going to do it in Christmas fabrics, and Janice already picked out her halloween fabrics. For the cover quilt, we used a collection called Collage. It is also in stores now. The last quilt is JO JO. 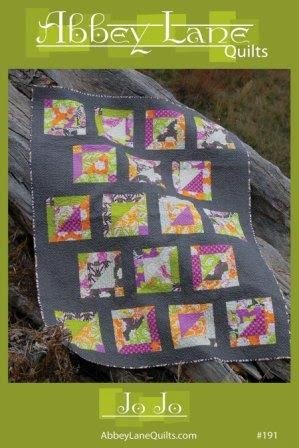 The dark grey background truly sets off the fun pieced blocks. The arrangement of the blocks also plays to the modern feel. 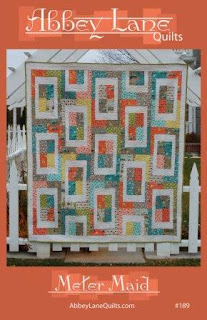 We used Heather Bailey's new collection Lottie Da for this quilt. is a grab and go sewing kit. It is so cool that I am devoted an entire blog to it. Check it out next week, there will even be a giveaway or two. 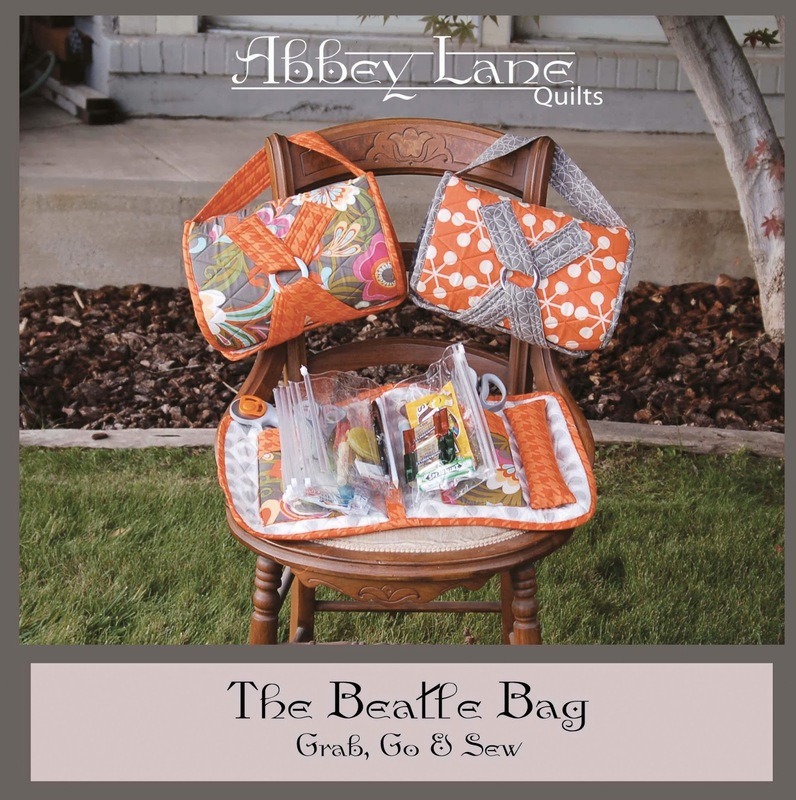 To see full details about any of the quilts, just head over to the website, www.abbeylanequilts.com. 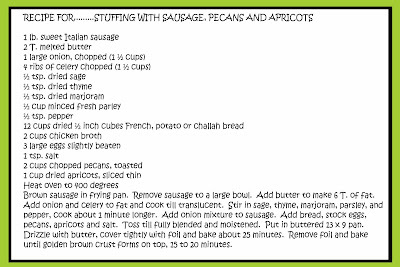 Now I promised a recipe and I apologize for not having a pic to go with it, but this is my favorite new dressing/stuffing. I made it the last two years and it is yummy. I have even made it with gluten free bread and it tastes amazing. Give it a try. 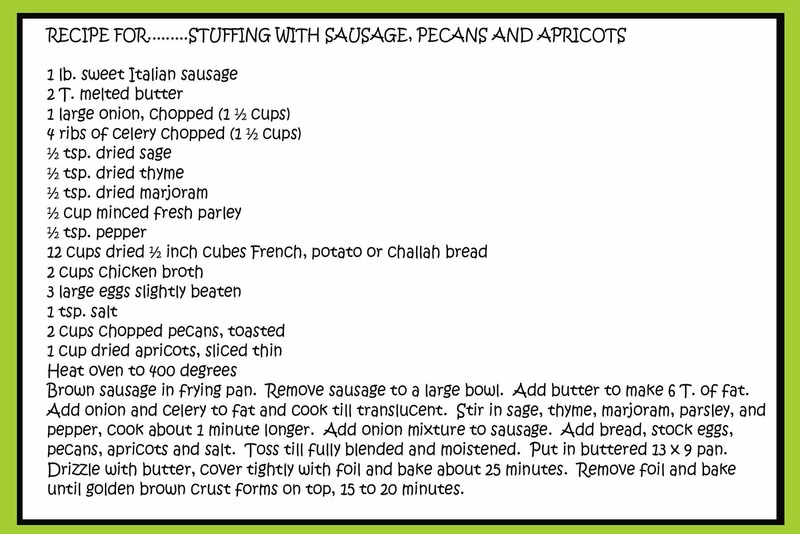 Have a great week, a yummy Thanksgiving and don't forget to give thanks for all that you have been blessed with.